He dropped to his knees, his hands fluttering to her face in horror. “Oh, my God…Jaynee…What have you done?” He didn’t recognize the peal of anguish that escaped his throat. As you read in the excerpt, Jordan finds his wife shot. Now he must figure how why she shot herself or if someone is to blame. You hooked me! Just got it for Kindle. Awesome, Colette. 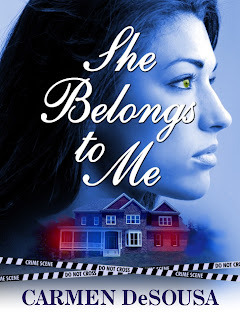 I hope you enjoy reading "She Belongs to Me" as much as I did writing.